Four American Kestrels hunting in the area around one of my nest boxes. Hopefully a pair will use one of the boxes next year, but it is great to see them in the area hunting. 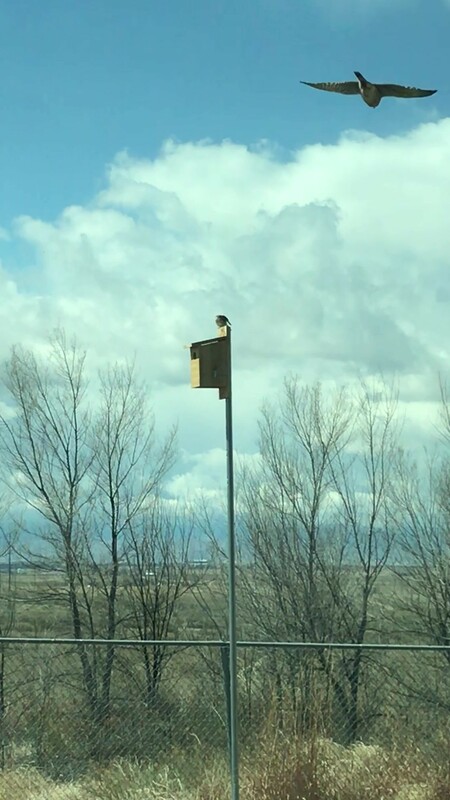 Male Kestrel drops down from the building roof to the female perched on top of the nest box, after copulation, they perch together and then he flies off and catches an insect right in front of the box. - April 12, 2018. Posted in The Kestrel Collection: photos and art by Sparrowhawk 1 year 8 months ago.